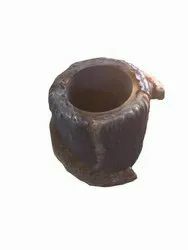 We are a leading Manufacturer of gears & pinion, case hardened worms, cage bar & side bars and hard faced worm from Ludhiana, India. 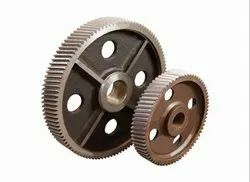 Our company is engaged in manufacturing of gears & pinions such as worm gears, bevel gears and others for various industries. We maintain international quality standards through our well-engineered gears & pinions. Basically used in gearboxes, these gears & pinions. Our range of gears & pinions have excellent heat distortion control, high strength, wear resistance property and noiseless and vibration free operation. These are available in various sizes and capacities. Our case hardened worms are made from mild steel which include Alloy Steel & Carbon Steel as their raw material. These worms are the first pack carburised and then dipped in a molten salt bath for perfect case hardened surface. We are also engaged in the manufacturing of the Cage Bar & Side Bars. 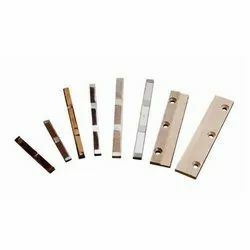 Earning a good name in the manufacturing of cage bar & cage bar holder, our products have occupied a wide area in the oil and related industries, as these are used in oil expellers. We use EN-8 as our raw material for Cage Bar & Holder. These are case hardened by carburising or hard faced to give them durability and long life services. 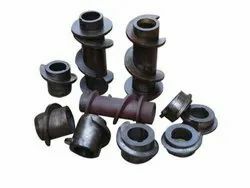 We are manufacturer of Hard Faced worms, collars, cone points, cone bushes having 54-58 HRC for non stop working up to 5-6 months.